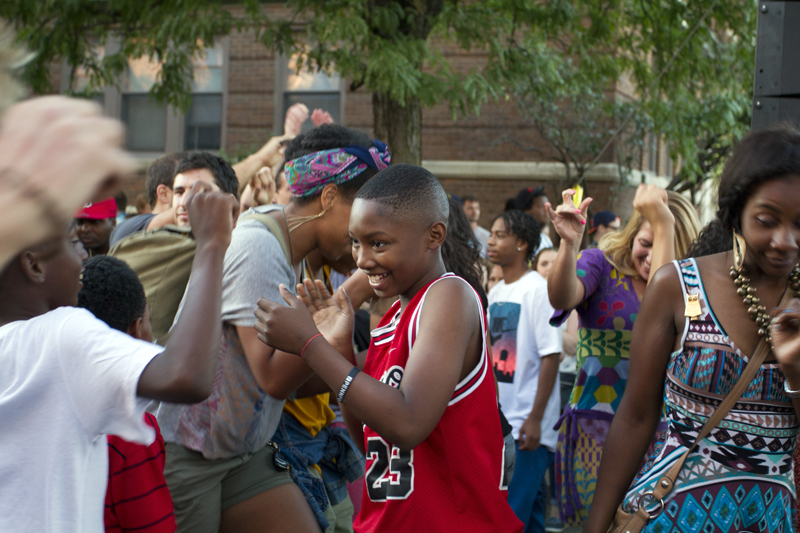 Detroit’s great culture and energy breathed excitement and passion in one of the most historic neighborhoods in the city for the 37th annual Dally in the Alley Saturday. The Cass Corridor was brimming with varieties of delectable food and live music for this entertaining and fascinating event. Four different stages were aptly placed around the corridor. One for bluegrass/country music (the Forest stage), rock and pop music (the Alley stage), smaller bands of many different genres (the Garden stage) and electronic/house music (the Electronic stage). Crowds of all ages danced. (Steve Neavling/MCM). The Forest Stage brought acts from all around the nation. Detroiters clapped and were waltzing and stomping their feet in the streets as they rejoiced in country and bluegrass music. Bands such as Behind the Times, Lac La Belle and Gabriel Brass Band played their instruments with professional precision. Detroit has often been called “the birthplace of techno.” The Electronic Stage proved this statement as DJ’s spun house, techno and funk at the most danceable stage around the festival. Detroit Edison, Secrets and Dru Ruiz were just a few of the artists who had the crowd swaying their hips and hula hooping throughout the day and night. A majority of the acts were independent and metro-Detroit born. 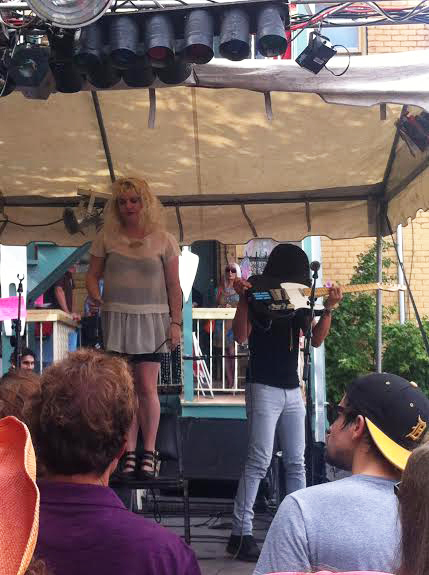 The Garden Stage that was tucked into one of the smaller alleys in the festival brought tremendous talent. It was delightful to see most of the stages were placed next to apartment complexes where residents watched and drank locally brewed beers such as Motor City Brewery off their back porch. 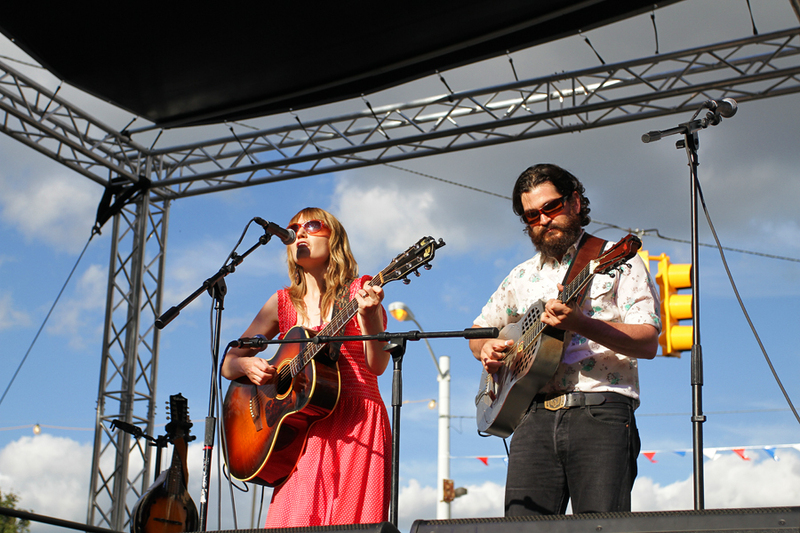 The young, two-piece act Tart showed promising signs of a band that will be going places. Adam Padden shredded on his Fender Telecaster while Zee Bricker engaged the crowd and held up signs such as “boogie time” and “human= human.” Zee’s voice echoed a young Madonna with hints of soul in her vocal box. Bricker played pre-made drum tracks and bass lines on her DJ setup while Padden strummed and soloed along. Tart is a wide range of rock, pop, and even electronic. Songs such as “Stasis” changed the pace and had festival-goers hugging and slow dancing across the lot. 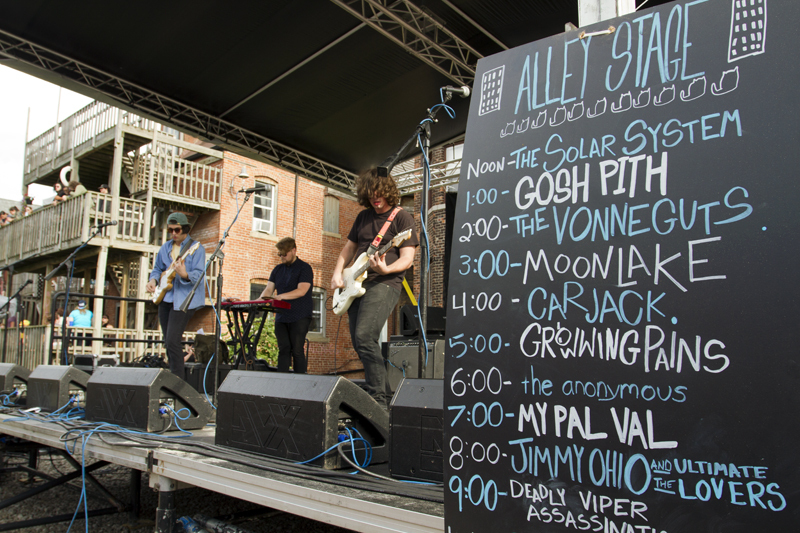 The best stage throughout the day was the Alley Stage, which brought an eclectic mix of local talent. Indie-rock bands such as The Vonneguts performed their surf rock for a lively crowd. The Vonneguts put their own stamp on The Beatles song, “Saw Her Standing There.” Although they didn’t exactly have a slew of teenage girls screaming like The Beatles did on the The Ed Sullivan Show, they had young Detroiters tapping their feet and singing along. My Pal Val also reminded the crowd that Detroit was one of the birthplaces of punk. Their MC5-influenced music kept the heads banging and the fists pumping. Detroit food such as Slows showed why Detroit is one of the culinary hot plates of the country. Slows was recently voted one of the top 25 pulled-pork sandwiches in the nation by seriouseats.com. “The Reason” and “Hoppin’ Jack” are a must eat for barbecue food lovers, while they also showcase Michigan’s best microbrews. Sadly, Dally was shut down a few hours early due to a transformer exploding above the corridor. Power lines hung dangerously over the festival, though no injuries were reported. The crowd was evacuated by Detroit police and the fire department for safety precautions. This was unfortunate as the weather was superb all day. 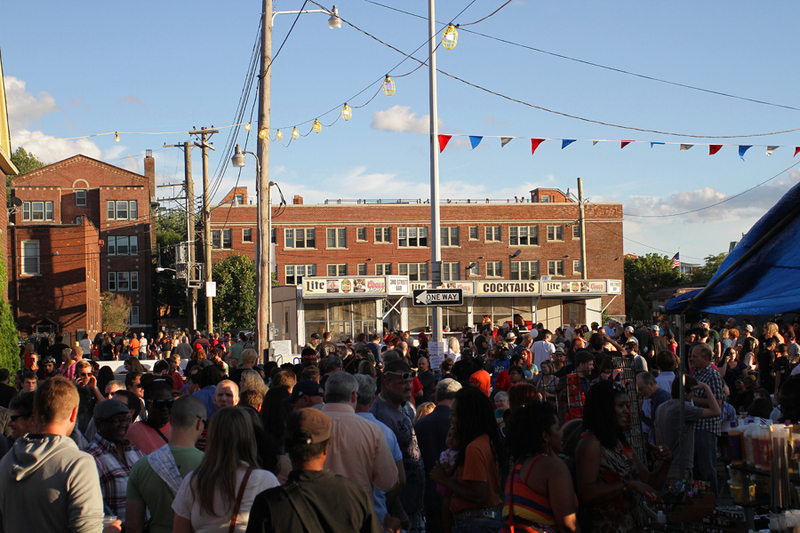 If you haven’t gone, Dally in the Alley is one of the best events to attend in Detroit. It shows that Detroit is still filled with excitement, artistic emotion, intensity, culture, delicious food, and immensely skilled musical acts. Next year it will be going on as planned on the Saturday after Labor Day. Many detroit hipsters=very rude and full of themselves. Perhaps a few too many chips on the old shoulders? Sorry about having to live in such crap. U captured the feel of the day. The Best of Real Detroit.